Observation - Coot with rings - UK and Ireland. Description: Normal Coot with three coloured rings and one metal BTO ring. 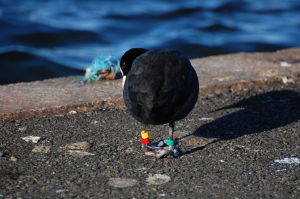 Normal Coot with three coloured rings and one metal BTO ring.